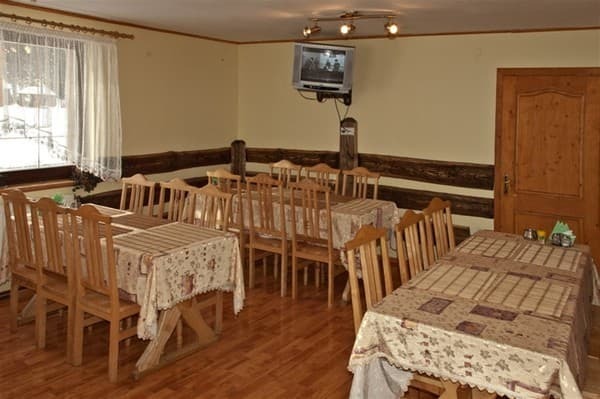 Mini-hotel "Velika Vedmeditsya" is located near the center of the ski resort Dragobrat, at the foot of Mount Stoh 150 meters from the ski lift. 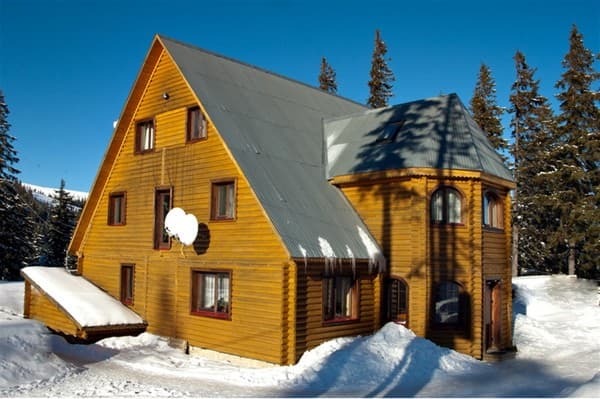 The hotel consists of two 3-storey wooden cottages (for 28 beds). 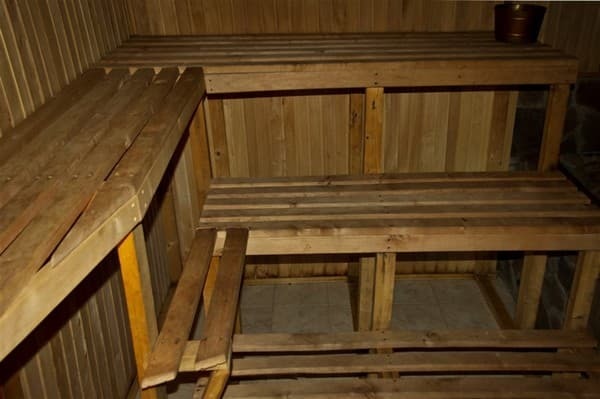 The hotel offers accommodation in 12 comfortable rooms with all amenities. Description of the room: Cozy 1-room apartment. 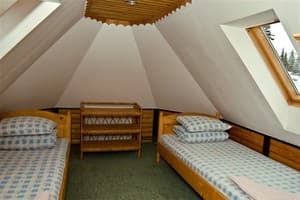 The room has everything you need for a comfortable stay: 2 single beds that can be moved, a table, a clothes hanger, satellite TV, a bathroom (toilet, washbasin, shower). The room rate includes 2 meals a day. 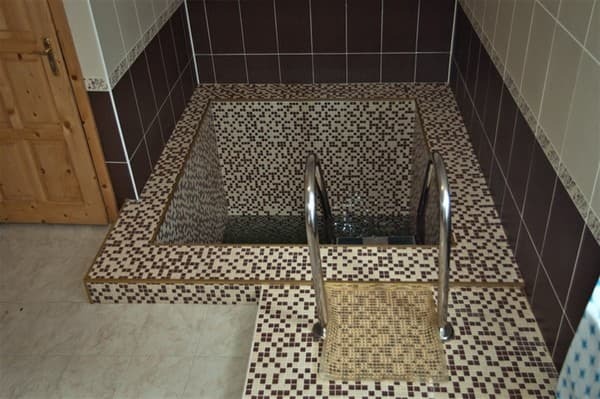 Description of the room: A cozy 1-room apartment is equipped with everything necessary for comfortable living: 3 single beds, bedside table, satellite TV, bathroom (shower, sink, toilet). Children under 2 years stay free of charge. The room rate includes 2 meals a day. On the territory there is a bar with 18 seats. 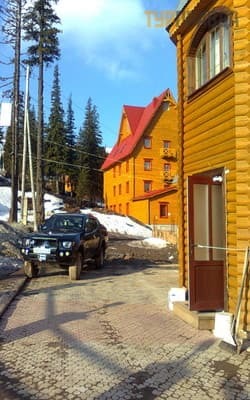 At the Dragobrat resort, at an altitude of 1300 m above sea level, at the foot of Stog, 50 m to the ski lifts "Carpathian Gull" - a chair, training, 150 m to the lifts "Top of the Carpathians" (P. Tsibulenko) - chairlift, . Yasinya (center) - 14 km, with. Yablunitsa - 26 km, Yaremche - 60 km. To the ski resort "Bukovel" - 25.8 km. To the village. Yasinya by train Lviv-Rakhiv, Ivano-Franovsk-Rakhiv or by bus. Then you should order a transfer to the hotel. By car - along the road Lviv - Rakhiv - Mukachevo (H-09) to the village of Yasinya, the road to Dragobrat is not accessible to every car, so it is worth to consult in advance. You may need to park your car in Jaseni and use the transfer service.